Is Sa​msung's latest 'Mini' a mid-range champion or a disappointing compromise? For better or worse, we've arrived in a world where smartphones with the word "mini" in their names also have 4.3-inch displays, once considered huge. The Galaxy S4 Mini is one of the first such devices to pass across our desk, having been launched at a glitzy London event alongside two other "Galaxy S4" smartphones — the S4 Active and S4 Zoom. 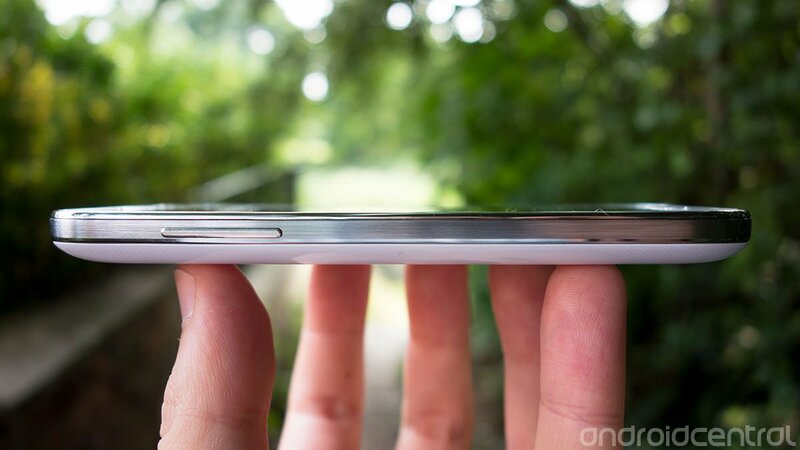 Superficially, the Galaxy S4 Mini looks like its name would suggest — it's a "miniature" Galaxy S4. The design, software and build quality remain mostly unchanged in the Mini. But as with any smaller, cheaper phone, corners have been cut in places. Specifically, the Mini's screen has a lower resolution, there's less internal storage, and certain heavily-advertised S4 features are missing. Samsung's Mini may be first to market, but it'll soon be joined by the HTC One Mini and (probably) Motorola's rumored Droid Mini, among others. So is the this device worthy of the premium brand it's been gifted, or is it just a jumped-up mid-level phone? 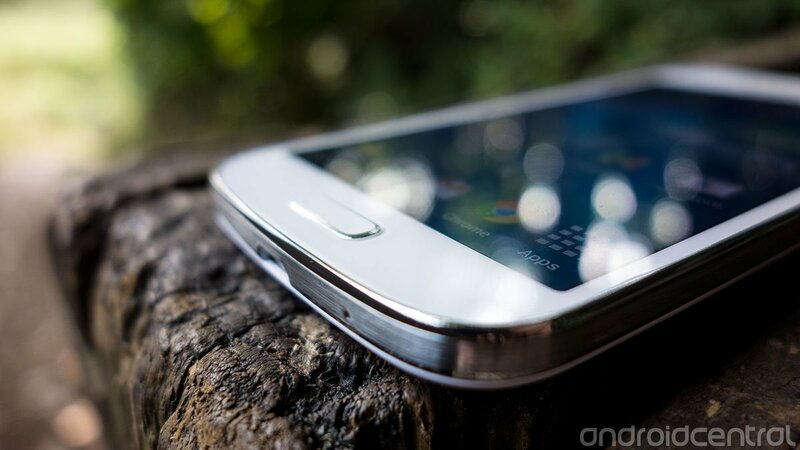 Find out after the break in our full-sized review of the Samsung Galaxy S4 Mini. Speedy performance, ergonomic design, latest Android and TouchWiz software, above-average rear camera, solid battery life. 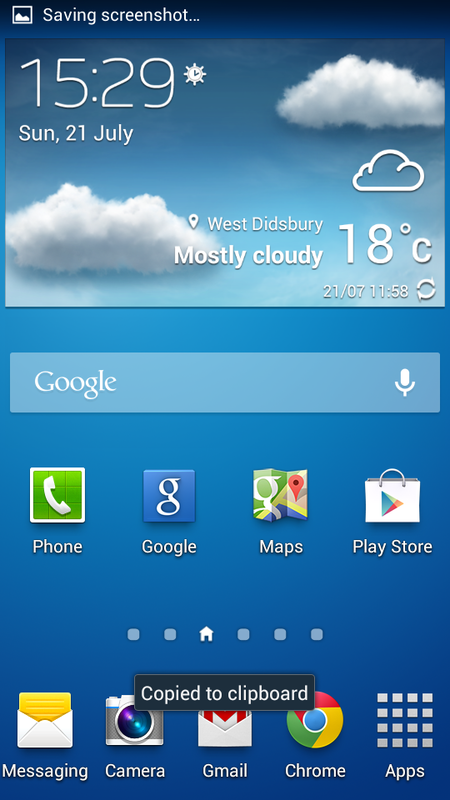 Low-resolution screen, paltry internal storage, some high-profile GS4 software and hardware features missing. Glossy plastic chassis still feels cheap. If you know anything about the design language Samsung's employed in its mobile devices over the past year or so, you'll know exactly what to expect from the Galaxy S4 Mini. And if you've handled a Galaxy S3 or Galaxy S4, we daresay you'll be even more familiar with thinking behind the Mini's look and feel. Fundamentally it's a glossy, plasticky design, save for the glass front. The front face is completely flat, with the 4.3-inch screen front and center, a metal speaker grille up top and a clicky home button down below. The power button's on the right, volume rocker's on the left, capacitive menu and back keys flank the home button. You know the drill by now. Like its big brother, the S4 Mini has a metal-looking but decidedly plastic-feeling trim, which houses the usual collection of ports and buttons, including a top-mounted IR blaster for use with the WatchON TV app. Around the back, the similarities continue. The battery door is easily prised off, though it's interesting to note that it's not as flimsy as the S4's rear cover — perhaps because Samsung wasn't shooting for an insanely slim profile in its Mini. And that's something else that bears mentioning — the Mini is a little chunkier than its 5-inch sibling, at 8.9mm versus 7.9mm. 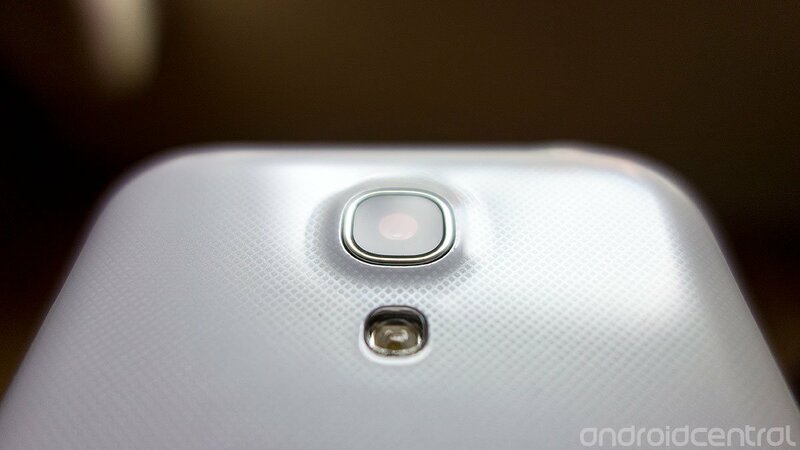 Protruding ever so slightly from the back of the phone is its 8-megapixel camera, and below that there's an LED flash. We're used to phones with larger 4.7-to-5-inch screens here at Android Central, so going back to a 4.3-incher for a length of time was somewhat eye-opening. One advantage of Samsung using curved shiny plastic chassis in its phones is that they're always extremely ergonomic and comfortable to use. (The disadvantage, of course, is that they don't boast the premium feel offered by some rivals.) The combination of this design and the smaller chassis size means the S4 Mini is incredibly comfortable to use one-handed, and you don't have to juggle the phone around in your hand to hit the upper areas of the screen. If you've been turned off larger-screened phones because of usability issues, then that's definitely a reason to give the S4 Mini a second look. Behind the phone's back cover sits the 1900 mAh removable battery — a reasonably hefty juicer for a phone of this size — and tucked underneath that are the microSIM and microSD slots. 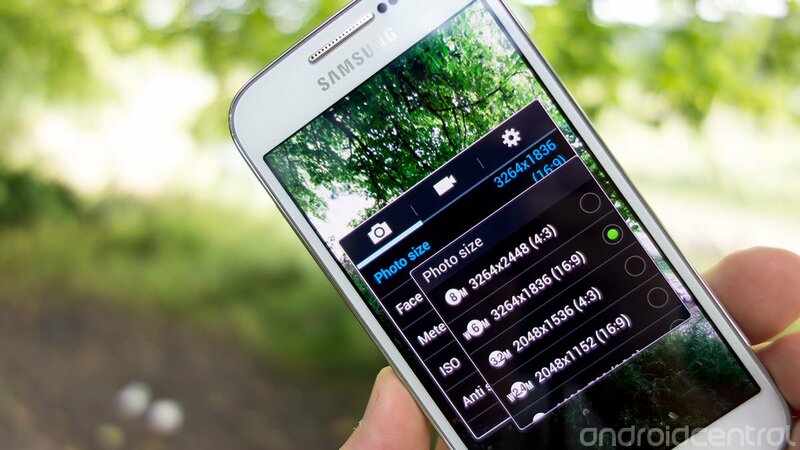 The Galaxy S4 Mini doesn't ship with a bundled SD card, but cards of up to 64GB in size are supported. Normally, expanding your storage wouldn't be an immediate concern, but the Galaxy S4 Mini suffers from the same storage-related issues as the larger version. Of the advertised 8 gigabytes, almost half is consumed by the OS, pre-loaded apps, and updates for those apps that must be applied at startup. That leaves you with just over 4GB for all your apps, photos, music and other content, should you buy the GS4 Mini without an SD card. Fortunately, the phone's storage woes are relatively easy to overcome with an SD card purchase, and some apps can even be moved to the external storage. However this is a messy workaround that's made necessary by Samsung's skimping on internal flash in the first place. 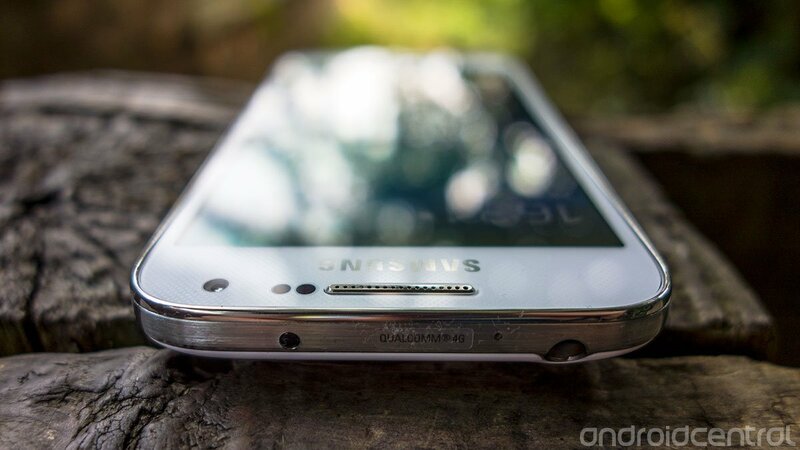 Our second major hardware gripe concerns the S4 Mini's screen. It's a qHD (960x540 resolution) SuperAMOLED display, and while we've no qualms with the brightness or color quality offered by the screen — the Mini almost matches the S4 in those areas — that low resolution is another matter. That means text and other UI elements, not to mention photos and videos, don't look as crisp. There's no shortage of mid-range phones using 720p panels this year, so we have to question the manufacturer's decision to stick with qHD SuperAMOLED here, especially considering the S4 Mini's relatively high price point. 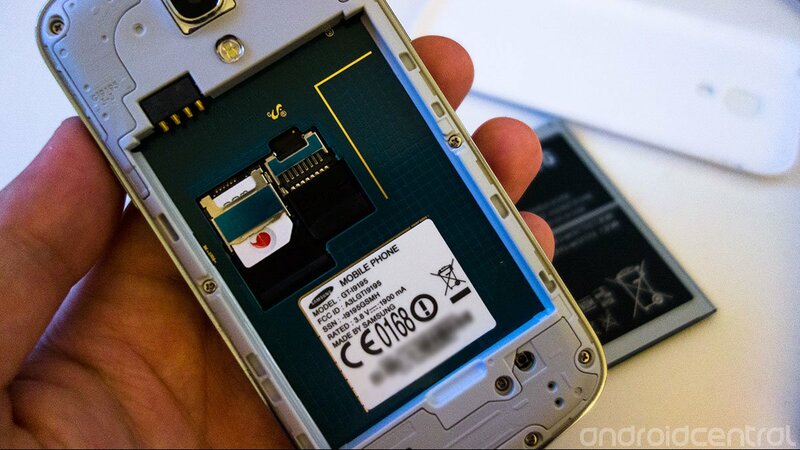 There's been no such skimping when it comes to the phone's internal hardware, thankfully. 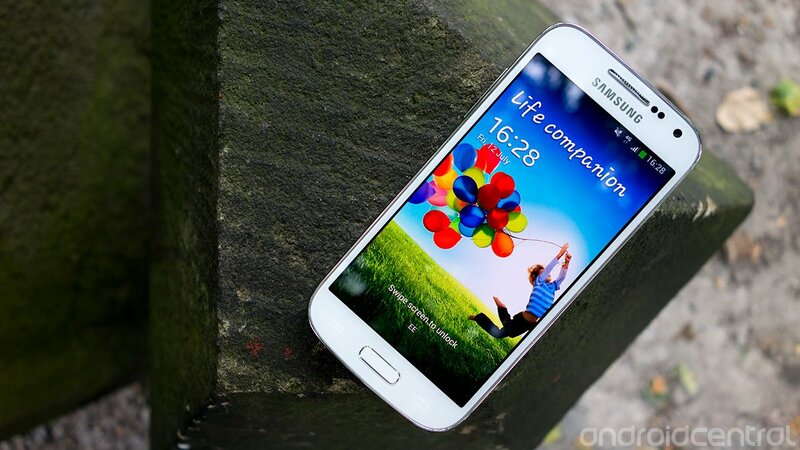 The Galaxy S4 Mini is powered by a dual-core 1.7GHz Qualcomm Snapdragon 400 CPU, backed up by an ample 1.5GB of RAM. Though not a leading-edge chip, the Snapdragon 400 provides more than enough horsepower for a smooth user experience on the Mini. Connectivity-wise, you've got LTE support on European bands and quad-band 42Mbps DC-HSDPA too. That's in addition to the usual combo of 802.11 a/b/g/n Wifi, NFC and Bluetooth 4.0. Finally, the Galaxy S4 Mini works as a telephone and you can make phone calls on it, in case you were wondering. We found signal strength to be comparable with the full-sized S4, which is another way of saying it's pretty good. 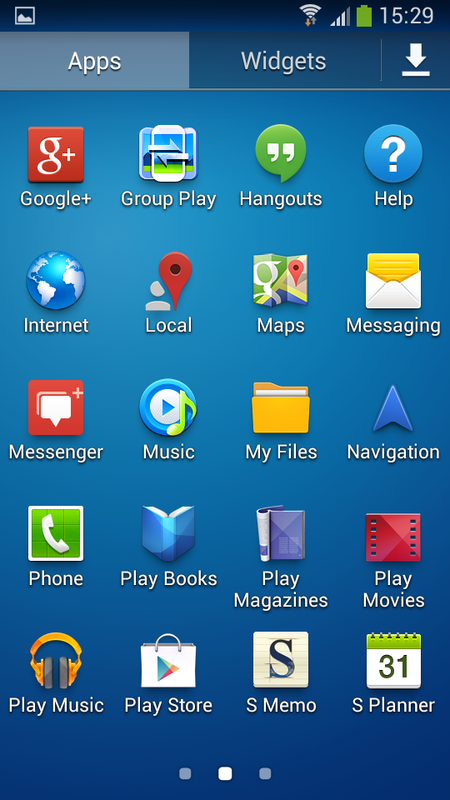 The Galaxy S4 Mini is running Android 4.2.2 Jelly Bean and Samsung's latest TouchWiz UI — the same version, more or less, that's used on the Galaxy S4 and other leading Samsung devices. 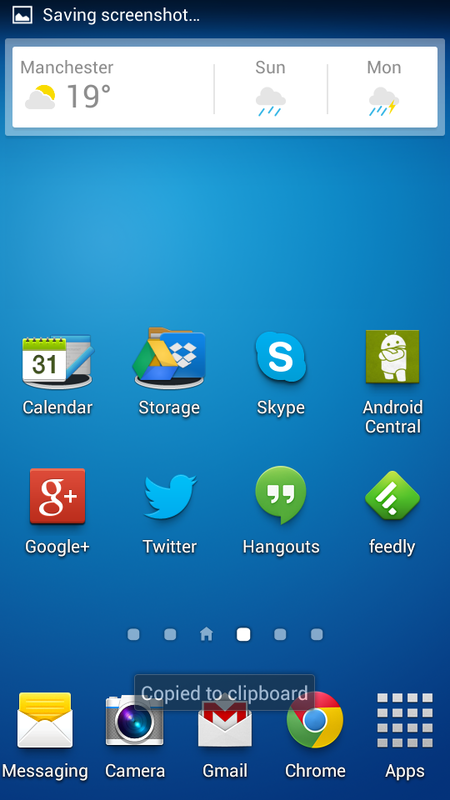 Visually, TouchWiz is still something of a hodge-podge of various visual styles, and in our opinion it's not the best looking Android interface. It is however extremely feature-packed, and the Galaxy S4 Mini benefits from the wealth of pre-loaded apps and features that come as standard on TouchWiz phones. There are some notable omissions, though. And curiously, considering this phone bears the Galaxy S4 name, the missing features are some of the more heavily-advertised Galaxy S4 capabilities. The hover-touch and gesture-sensitive features are gone. 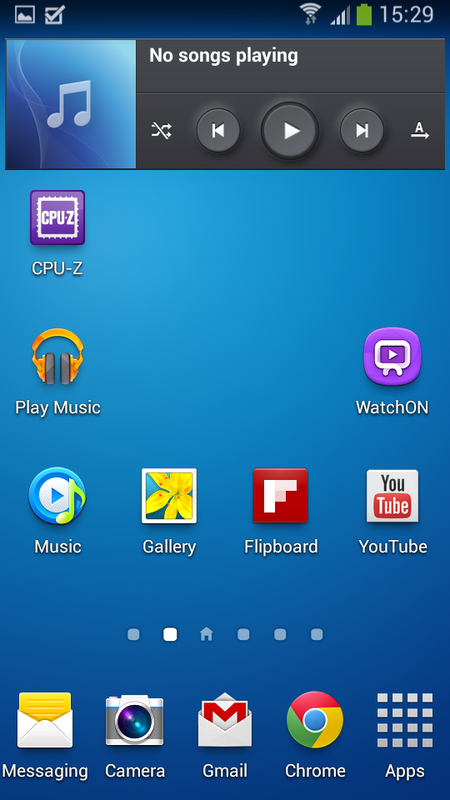 The multi-window feature, used to run more than one app on screen at a time, isn't included. And the S Health suite is missing, likely due to the lack of integrated pedometer, temperature or moisture sensors. So you won't be able to show off hovering photo previews or hand-waving gestures to your friends, but we'd concede that these features were largely window dressing anyway. On the other hand, we can see how it might be misleading to call this device a Galaxy S4 Mini while leaving out these widely-advertised features. 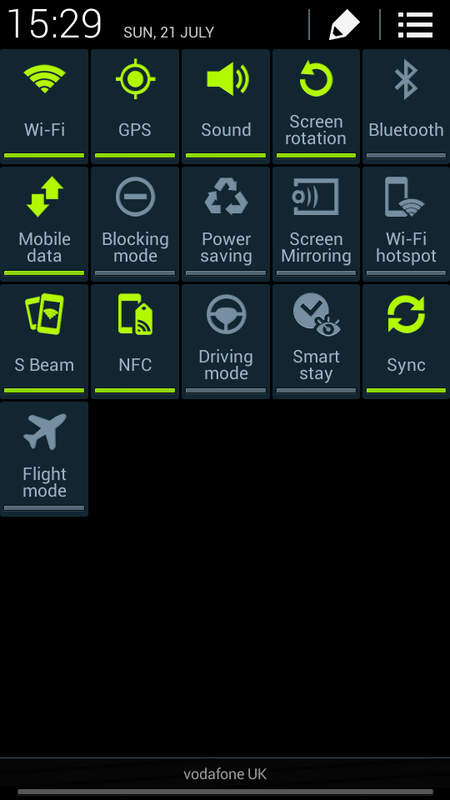 In any case, the list of software features you do get in the Galaxy S4 Mini is by no means small, despite these notable cuts. And just about all the Galaxy S4 features that haven't been cut for hardware-related reasons have made it across to the Mini. 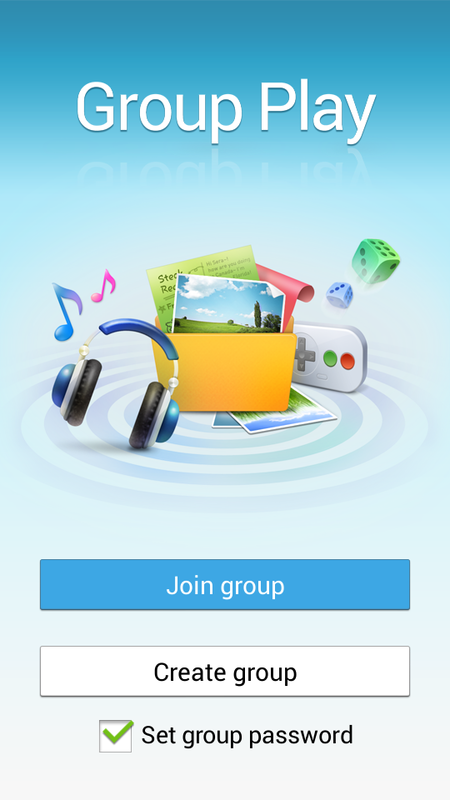 Those include the excellent TouchWiz camera app (though with some shooting modes missing), Group Play, which lets you share media in real time with other TouchWiz phones, and the Samsung Apps and Hub suites. 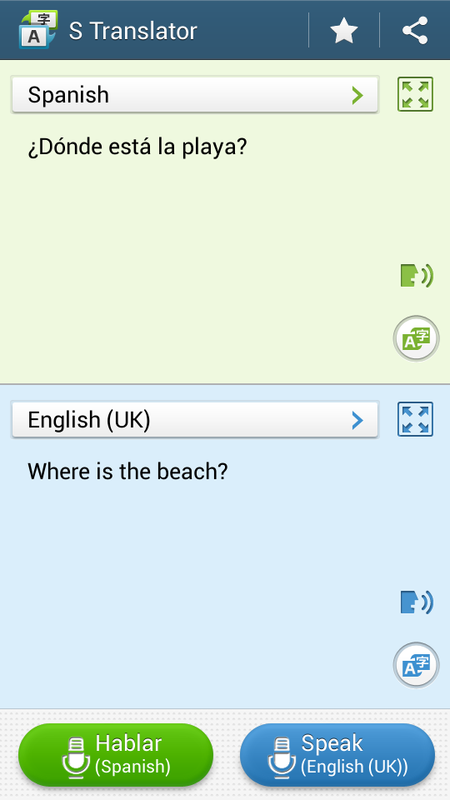 Samsung's S Voice assistant, improved markedly since it first debuted on the Galaxy S3, is onboard too, as is S Translator, the offline translation app. So what you're looking at is the core TouchWiz package, without some of the fancier stuff you may have seen on higher-end handsets. It's a cut-down experience, but not in a way that completely neuters the phone. And despite the less powerful processor running the show, the TouchWiz UI is just as snappy as it is on a fully up-to-date Galaxy S4. Notification/charging LED — An odd omission, but there's no way to see whether you have notifications pending, nor whether the phone is done charging. Haptic feedback for button presses — Another strange thing to cut. The phone has a vibration motor, but you can't use it for haptic feedback in the built-in keyboard, nor can you turn it on to get feedback when you use the capacitive buttons. Air gesture — Like a Neanderthal, you'll have to swipe through your photos using the touchscreen. Air view — You can't hover over stuff in certain apps to view pop-up previews. 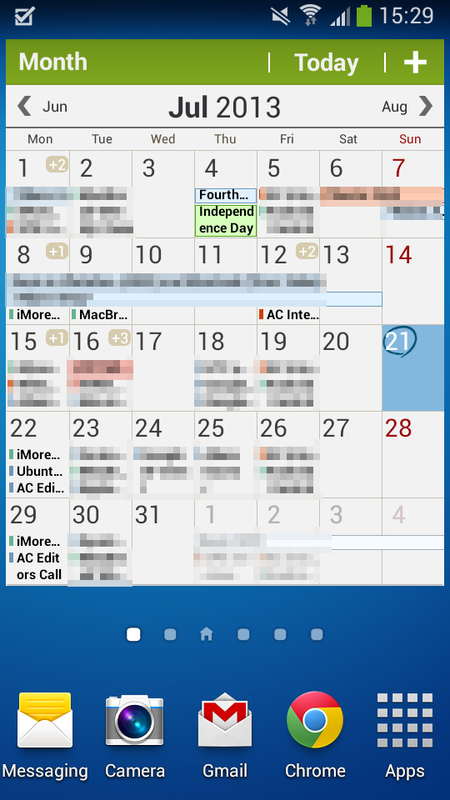 Multi-window — You're limited to one app at a time, likely due to the low screen resolution. S Health — Probably cut due to missing sensors on the Mini. You'll just have to count your own steps. Dual-shot camera — You can't take awkward double-photos of yourself and your friends using the front and rear cameras. Eraser shot and animated photo — So you'll need to watch out for photo-bombers, and make your animated GIFs the old-fashioned way. Oddly, the current Galaxy S4 Mini firmware includes an FM Radio app, while the full-sized S4 does not. So there's that. 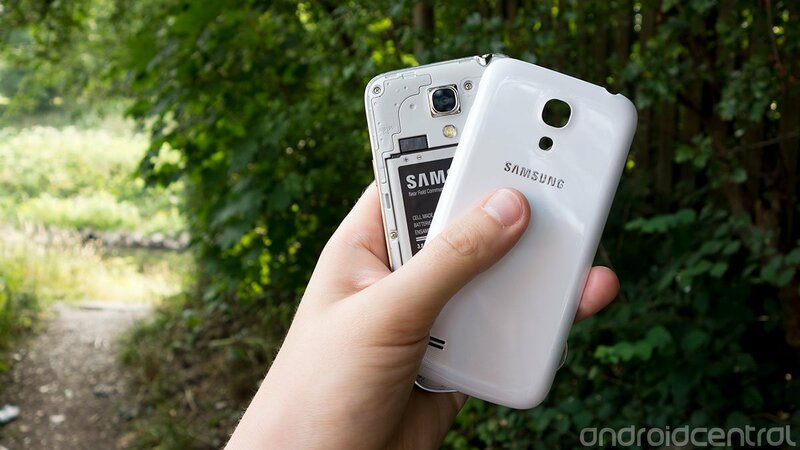 The Galaxy S4 Mini is powered by a 1900 mAh battery. That might sound slightly anemic compared to the current crop of high-end smartphones — the full-sized S4 packs a 2600 mAh unit — but you don't need quite so much juice when you've got a 4.3-inch screen and a power-efficient dual-core CPU. On the whole we've been impressed with the battery life offered by the S4 Mini while using it for our usual array of smartphone tasks on Wifi, HSPA and LTE networks. On lighter days, we found we were getting to around 12 hours of uptime with 50 percent charge remaining; with more intensive tasks, including streaming Google Play Music over LTE, it was possible to approach the danger level of around 20 percent in eight hours. Those are impressive numbers for any device, and should you wish to extend your battery life further, Samsung's got a dedicated power-saving mode, which lets you limit CPU speed and screen brightness to conserve energy. Finally, we should note that using the S4 Mini on LTE networks didn't result in any accelerated battery consumption compared to HSPA — then again, that's been true of most international LTE phones for the past year or so. The S4 Mini packs an 8-megapixel rear camera with LED flash, in addition to a decidedly average 1.9-megapixel front-facer. The short version is that the main camera performs at roughly the level of last year's Galaxy S3, a phone which also included an 8-megapixel unit. What's more, you'll benefit from Samsung's latest Galaxy Camera-inspired camera app, which is among the best out there, as well as 1080p video recording capabilities. Like the S3 and the S4, the Mini's camera is a great all-rounder, and during testing we found it produced good-looking shots in a wide variety of situations. In particular, we found the phone did especially well in macro shots, and excelled at keeping outdoor scenes evenly exposed, even when shooting against bright daylight. Dynamic range, too, was above average, and the Mini performed well in shots with both bright and dark areas, even in automatic mode. Being a TouchWiz phone, the camera app also gives you a wide array of specialized shooting modes, including continuous shooting, a face-enhancing mode, a fast capture mode, panorama and HDR (Rich tone.) 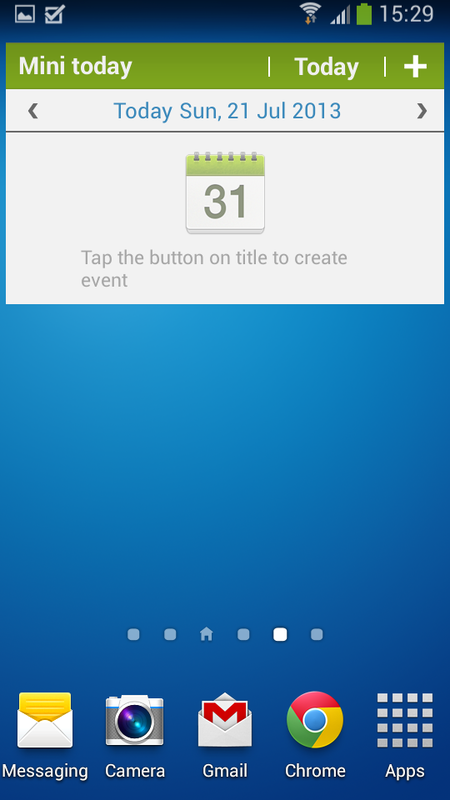 Eraser shot and animated photo (the GIF maker) from the Galaxy S4 are not present, however. 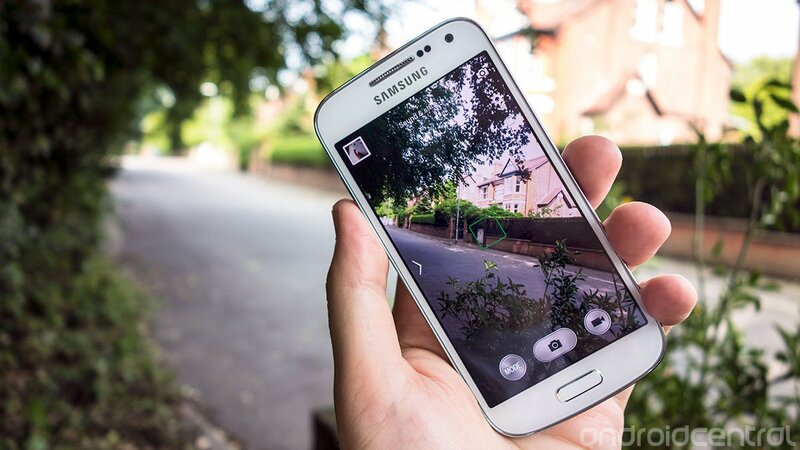 The Galaxy S4 Mini didn't surprise us too much when it came time to test the video camera. Footage was crisp and clear, and colors were mostly accurate. There was one curious weakness we noticed, however. When the video camera adjusted exposure on the fly — for example, when jumping between bright and dark areas a lot — this seemed to result in a drop in frame rate to 25fps, down from the usual 30. Finally, we should also note that the lower-resolution screen obviously means you'll have a harder time viewing fine detail in your own photos and video on the S4 Mini. 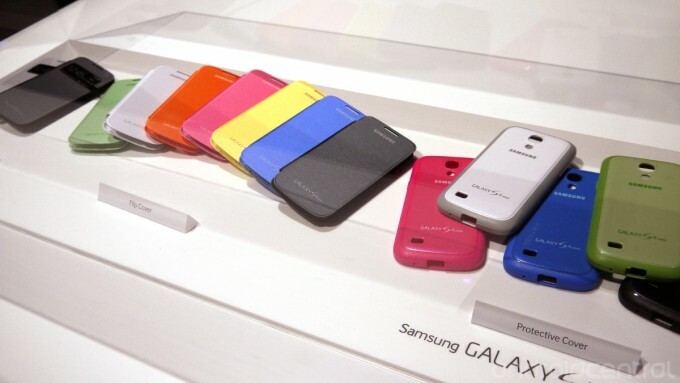 As we discovered at the launch event back in June, Samsung will offer a range of first-party Galaxy S4 Mini accessories. These include hard shell cases in various colors, as well as opaque flip covers and clear "S View" cases. Hit up the ShopAndroid newsletter to learn when the first stock of accessories for new devices arrives. When you take a phone as highly-spec'd and fully-featured as the Galaxy S4 and try to cram it into a smaller chassis at a lower price point, you're going to have to make compromises. 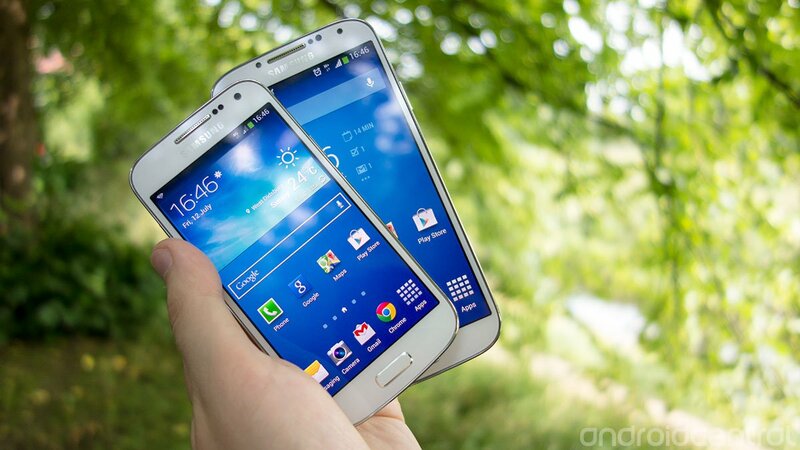 It's unreasonable, then, to expect the Galaxy S4 Mini to attain feature parity with its big brother. But we're less concerned with the feature gap between these two phones, and more troubled by two specific hardware-related corners that have been cut. Going back to qHD (960x540) in 2013 is tough, and for the Galaxy S4 Mini's £350 ($534) price tag you'd rightly expect a higher-resolution screen. Same deal with internal storage — 4GB and change is not a whole lot of anything, and although this particular limitation is easily sidestepped with the addition of a microSD card, doing so is an extra expense and additional hassle for the user. On the other hand, we're impressed that features like the Group Play, S Translator, the IR blaster and WatchON have made their way to the Mini, especially since HTC has cut its own IR-plus-TV combo from the One Mini. 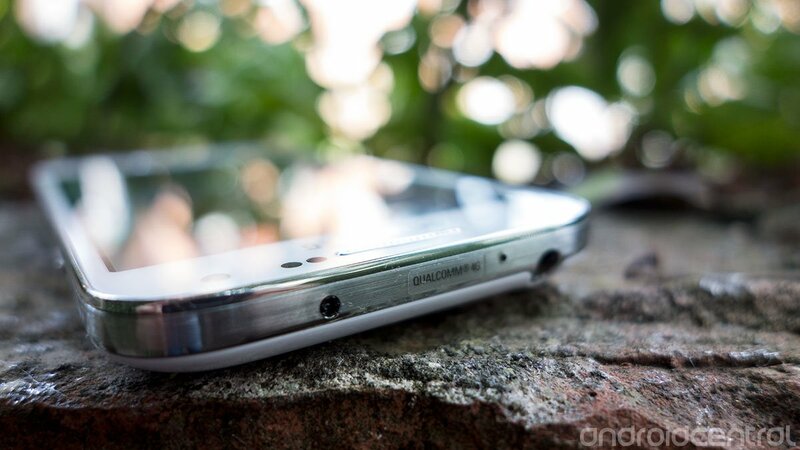 The rear camera is also an area of strength for the S4 Mini. It's a really great all-round shooter and will serve you well whatever kind of shots you're taking. Overall, the Galaxy S4 Mini is a competent mid-range smartphone that delivers the core "Galaxy" software experience in a smaller chassis and at a lower price point. But the disappointing screen resolution and tiny internal storage might give buyers reason to wait for HTC's rival One Mini — or instead consider last year's Galaxy S3, which is now available at discounted prices. 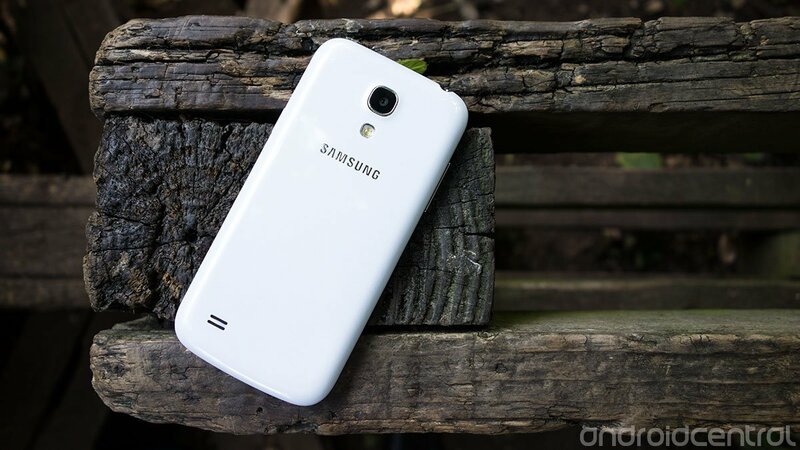 Thanks to Clove Technology for providing the Samsung Galaxy S4 Mini for review.